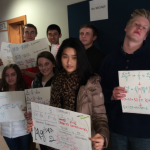 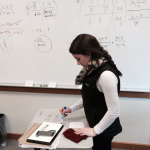 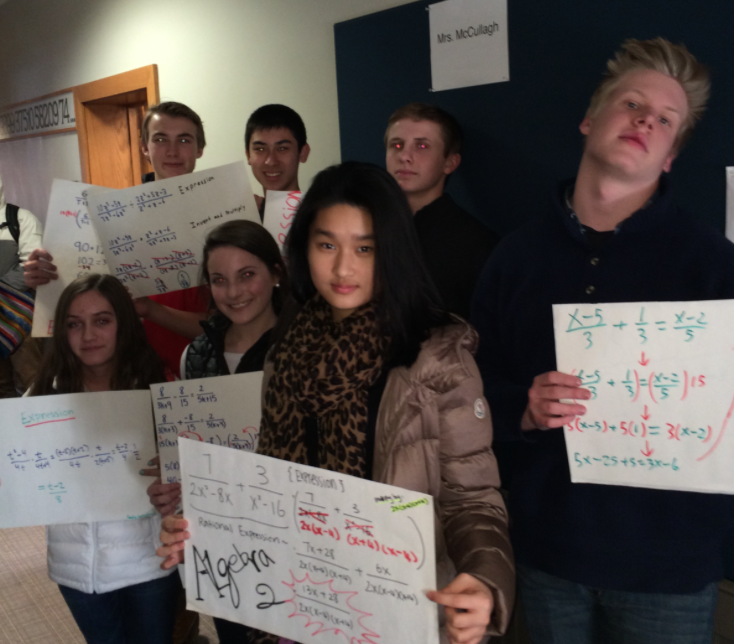 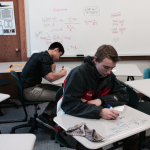 Check out this awesome music video made by Ms. Briedis‘ Algebra II Honors class! 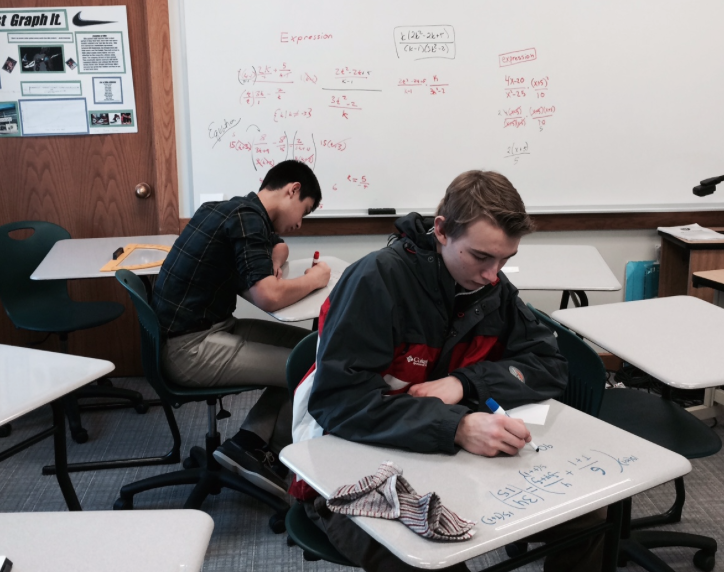 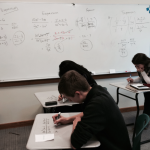 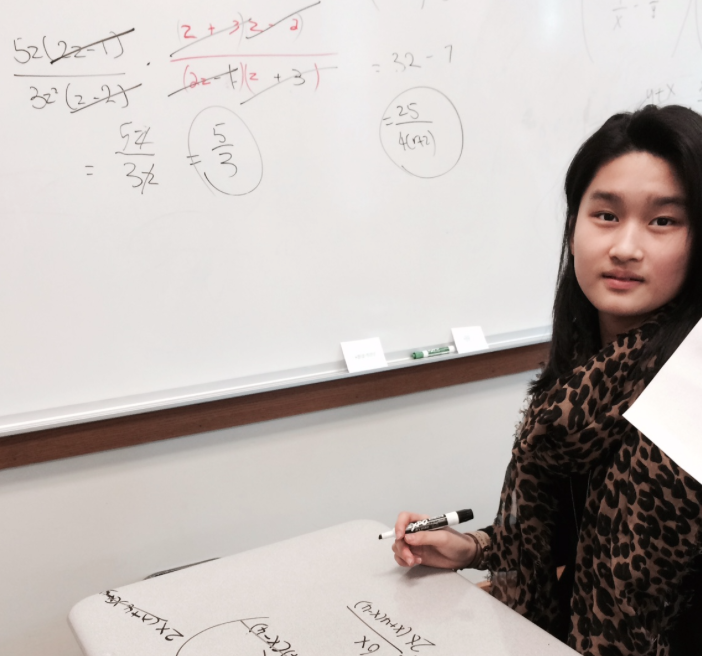 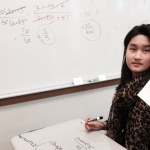 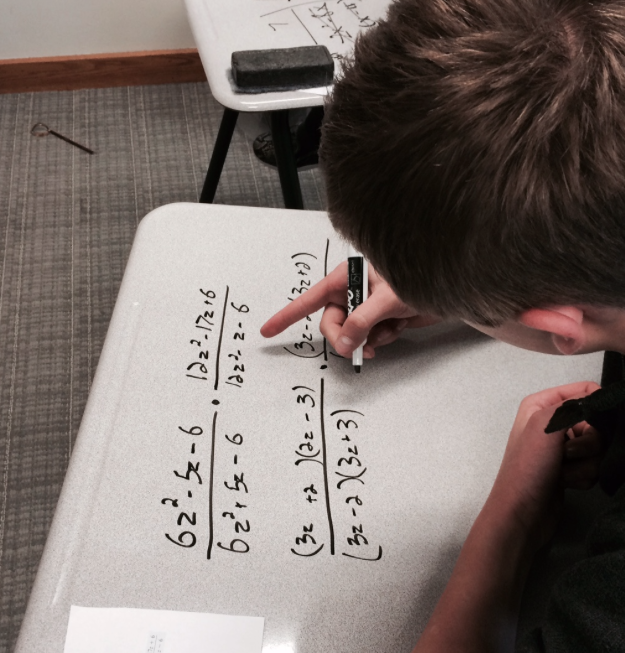 In Algebra Two we’ve learned how to factor polynomials and now we’re putting those skills to work. 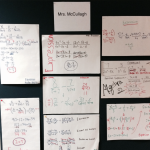 In this unit we’re identifying expressions and equations. 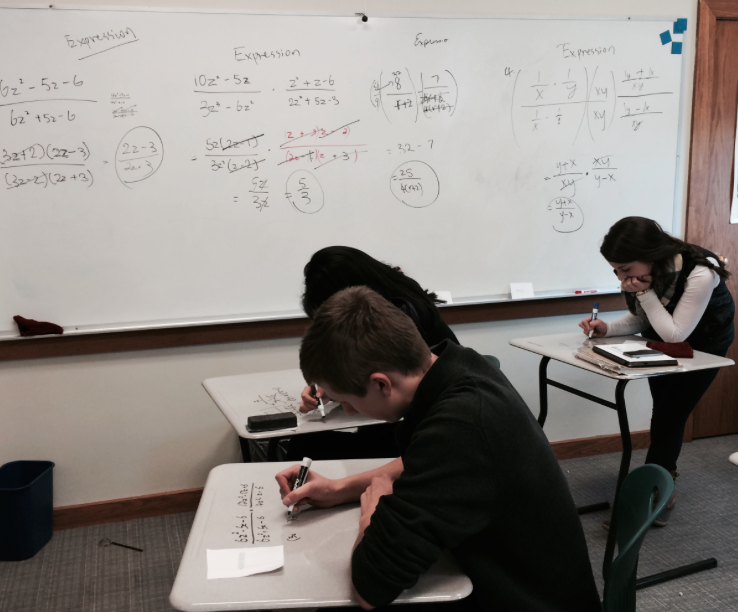 Once they’re identified we can use our factoring knowledge to simplify expressions and solve equations. 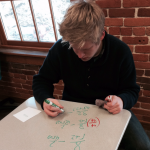 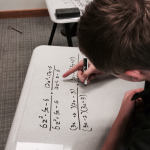 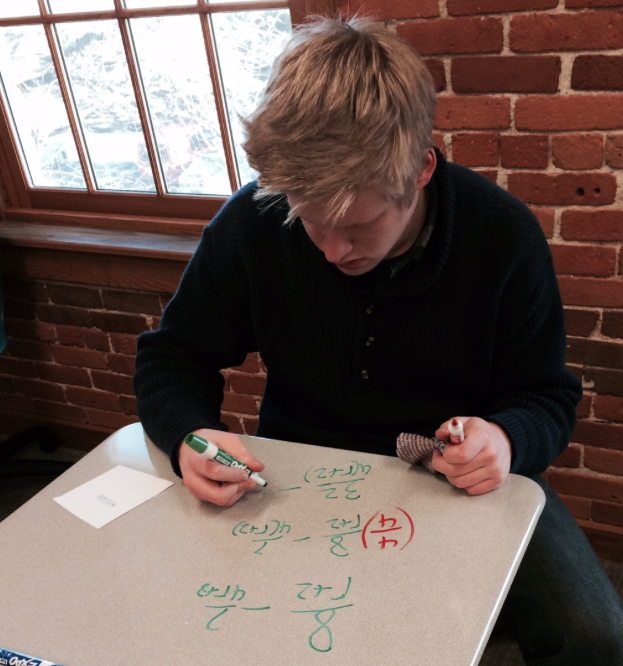 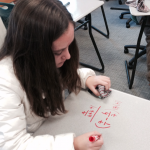 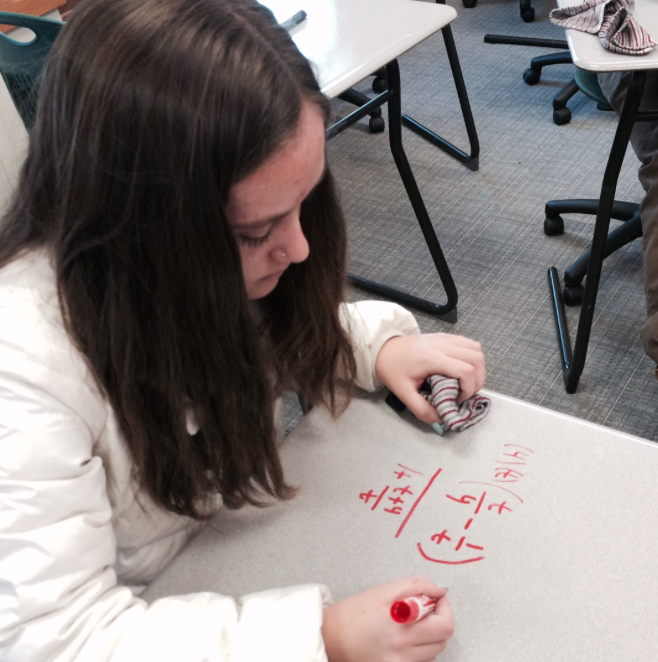 Today we worked in groups on the board and then individually – writing on our desks. 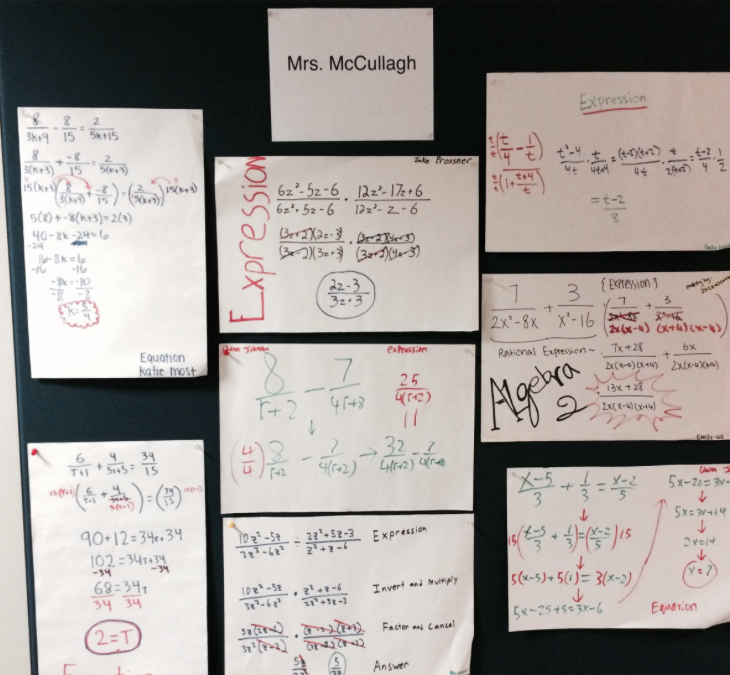 Finally, with the support of our classmates, we each made a poster showing a problem in full detail to display in the hallway.